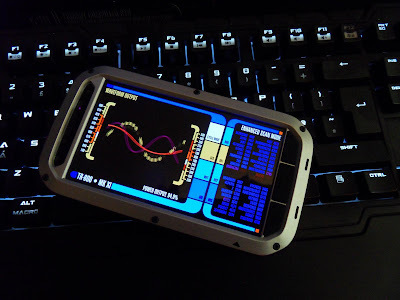 Project Expeditus (LCARS 47 for Android). It's been asked for and asked for. Yes we are actively working on it and yes, it will be absolutely free. No ads, no paywalls, no in-app purchases. It's currently in closed alpha and we're planning a release along side LCARS 47 v6.5 itself. You guys have shown so much support for our small non-profit, and I'd like to thank you on behalf of my entire development team. You make all this worth while. Performance subject to device spec. 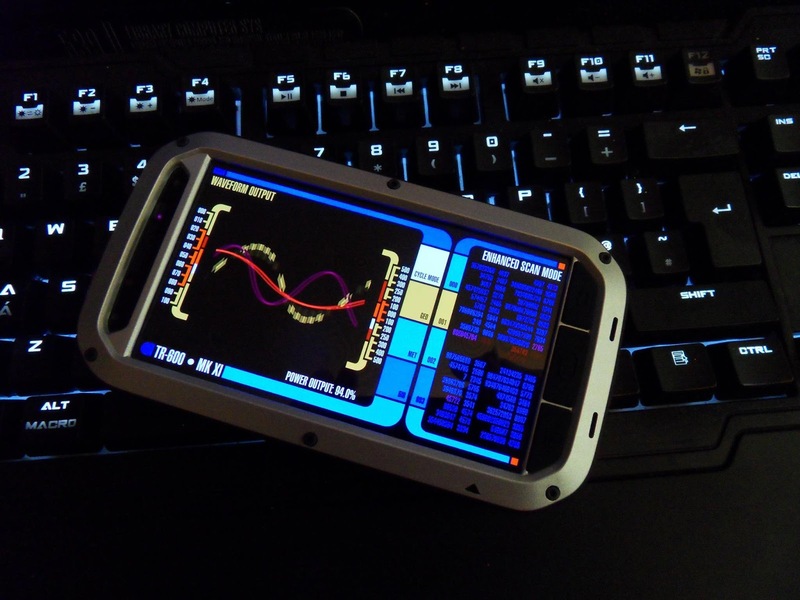 Starfleet issue case not included with app. This is the actual tricorder from Star Trek: Nemesis (above). It had no official name, but We decided that "TR-600 - Mk XI" would be the most logical choice. There are a few stylistic differences between the canon "TR-600", and the Expeditus TR-600, but this is mostly to allow for conversion of the UI to better suit high end, high PPI 16:9 screens.